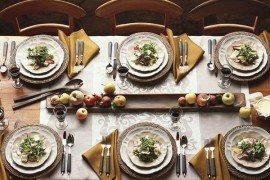 Fall is upon us, and for many, this season marks the beginning of festive get-togethers, from autumn gatherings to Halloween parties. 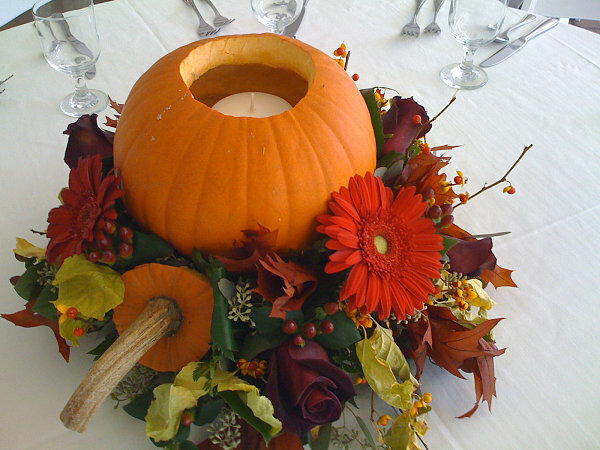 If you like to entertain, chances are you may be arranging a fall centerpiece for your next event. 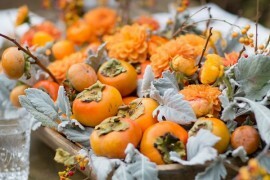 The problem is, the more you search for autumn table topper ideas, the more they start to look alike. How many acorns and faux leaves can a person put on a tray? Tired of all the warm tones? We know–sometimes you need to catch people by surprise! 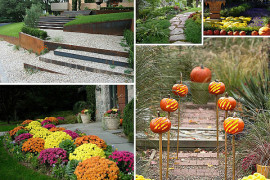 Begin by selecting an unconvenetional shade for your pumpkin. Like the gray-green hue below. Then fill it with blossoms that are anything but autum-toned. 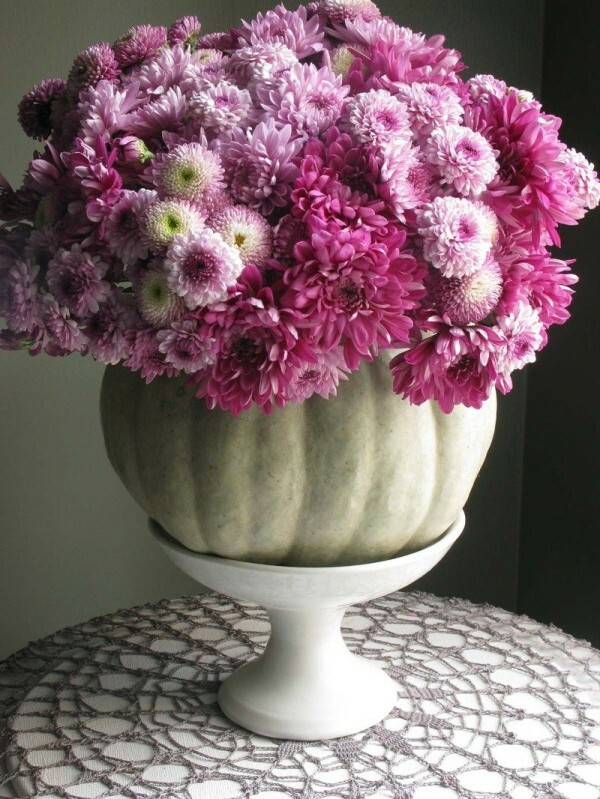 Like purple mums! Now place the arrangement on a compote to add height. 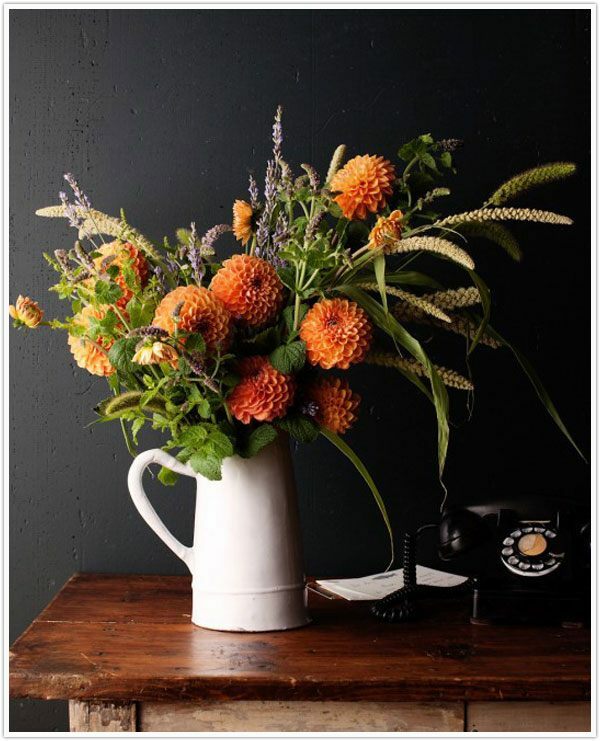 For more details on this easy project, check out the tutorial from Eddie Ross. 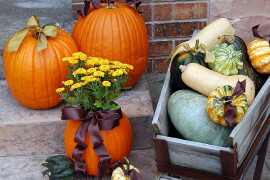 Can’t find the pumpkin you want in nature? Create your own dream shade with the help of craft paint. 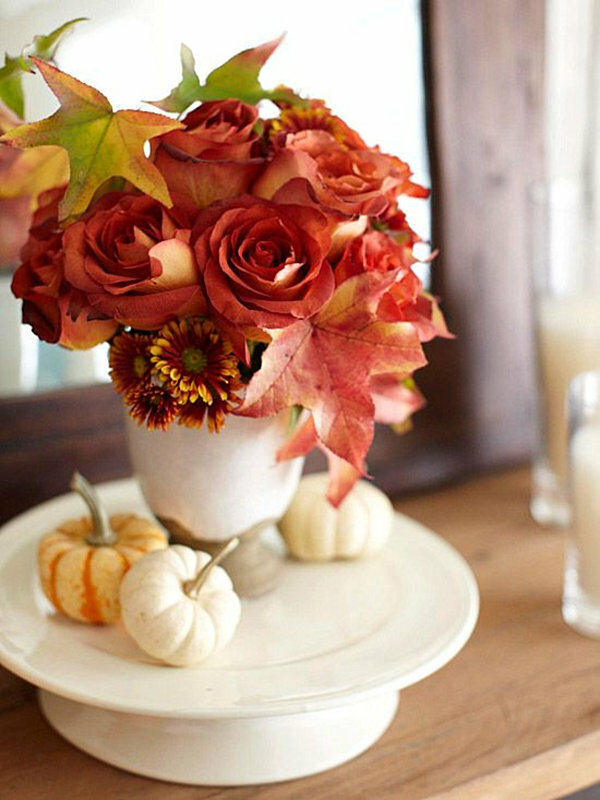 The centerpiece below makes use of faux pumpkins and berries, but you could certainly use real pumpkins for this arrangement as well. View the full tutorial at HGTV.com. Bring on the fruit! And the wheat! 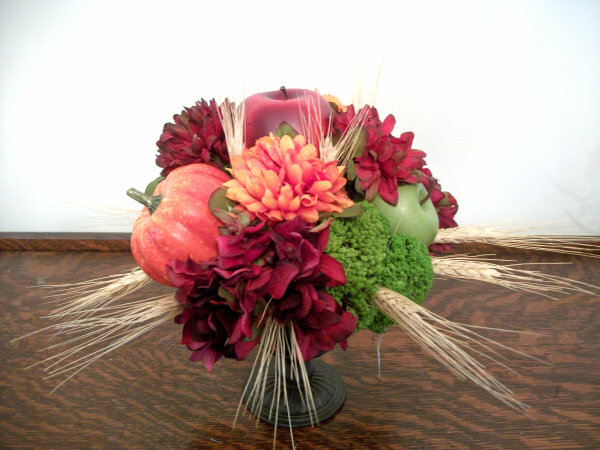 The next centerpiece incorporates apples, pumpkins, hydrangeas and wheat, all faux. You can buy it from SILKMAMA.com, or try making your own from real ingredients and display it in a narrow vase. 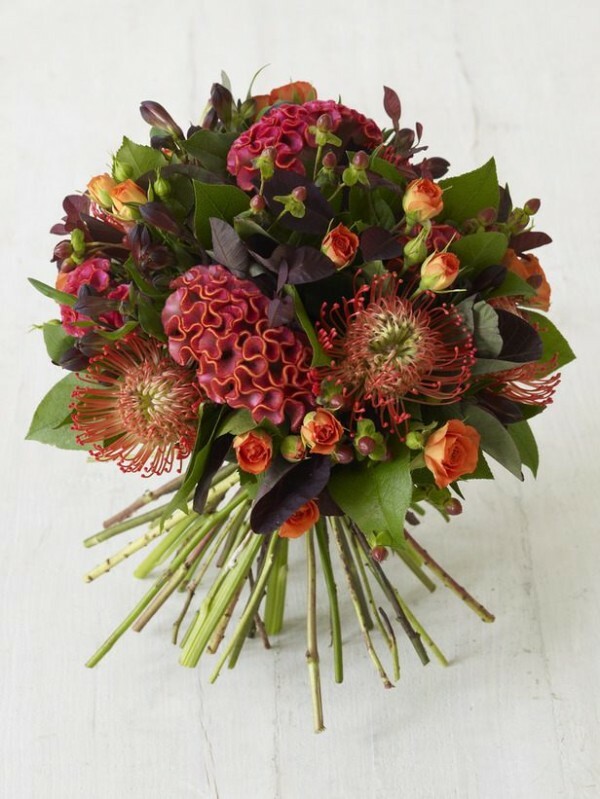 For a similar look without the fruit, create a hand-tied bouquet using flowers like cockscomb and alstroemeria. 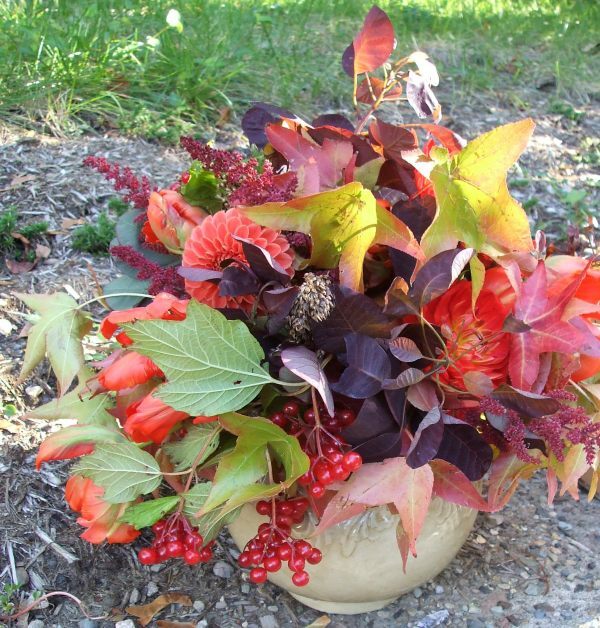 Once the blooms are secure, place the arrangement in the container of your choice. We think it would be stunning in a clear modern vase. 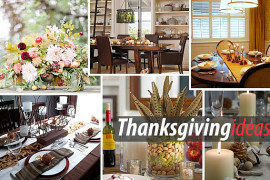 View the full tutorial at HGTV.com. 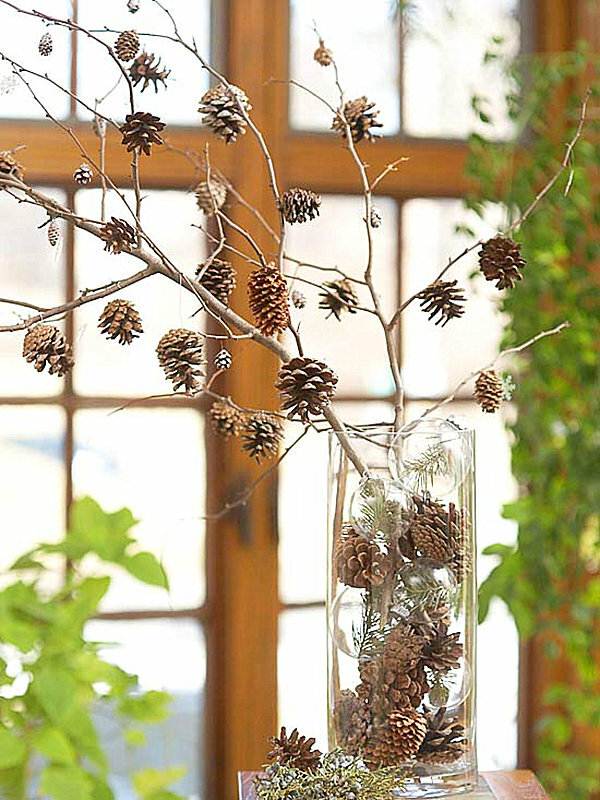 When you want your centerpiece to combine a variety of elements, go for it! 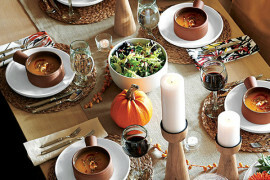 Create a true vignette that sets the tone for your gathering (or makes you smile each time you pass the table). 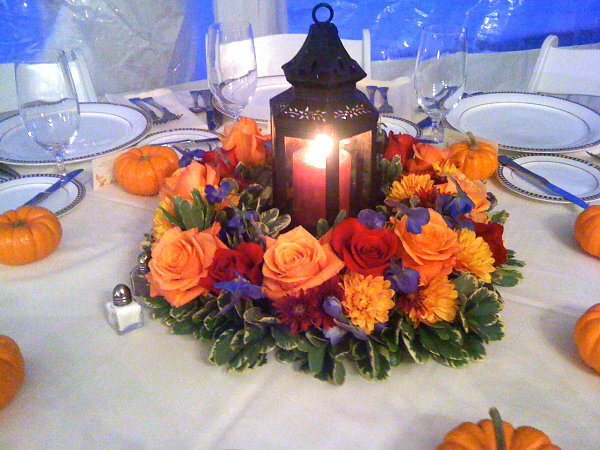 The fall lantern centerpiece below is from Scentsational Events, and it cleverly incorporates roses, mums and delphiniums. 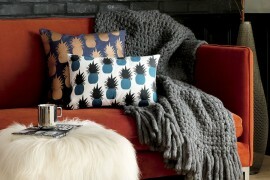 We love the way touches of blue and purple make the fall tones pop! 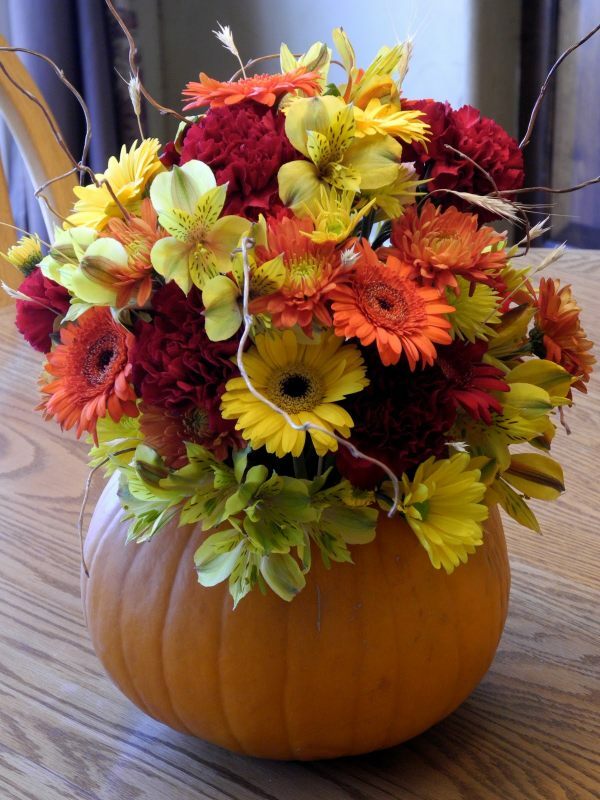 Don’t be quick to dismiss a centerpiece that isn’t exactly what you’re looking for. 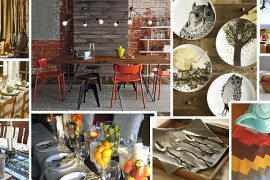 Use it as a jumping off point for incorporating your own style. 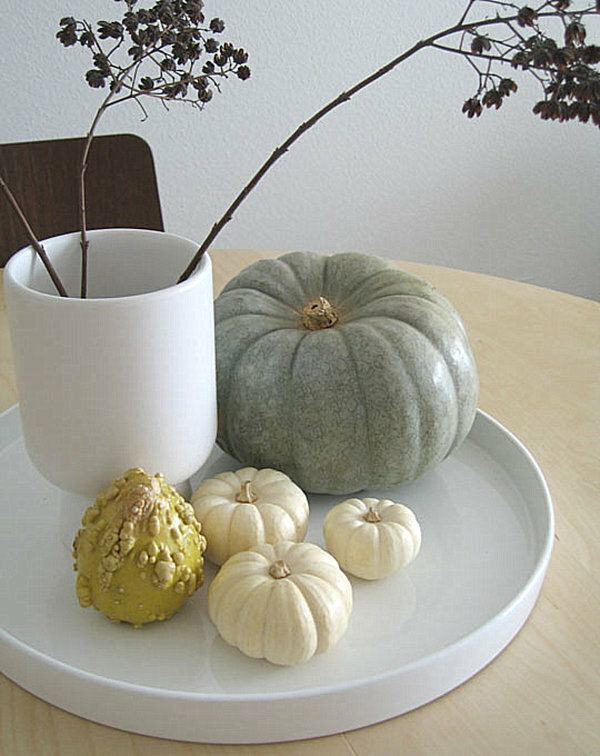 For example, if you don’t want to display baby pumpkins on a tray in your vignette, try pears or apples. 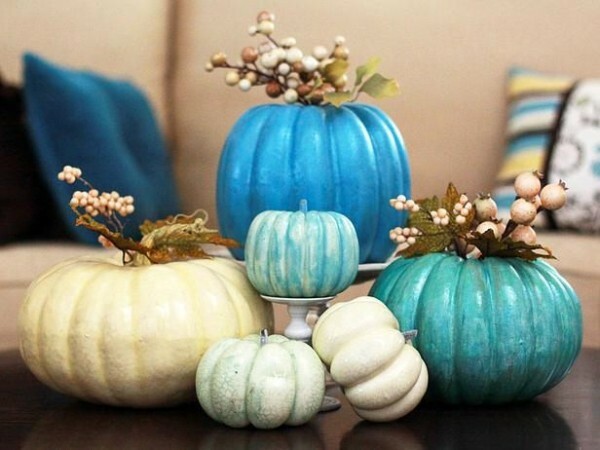 If you don’t like blues and purples as fall accent colors, go with another unexpected shade, like green. 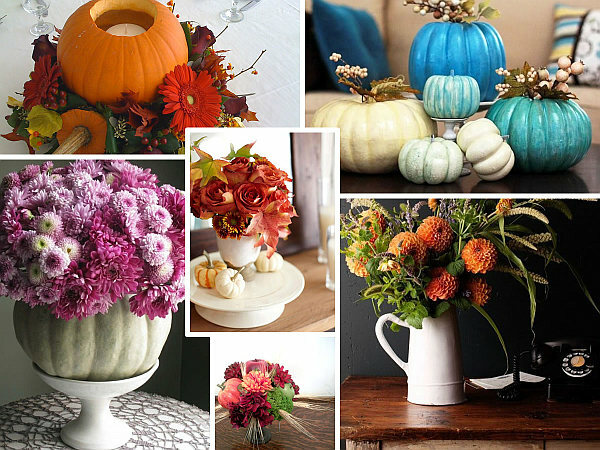 Make the centerpiece your own, and your guests will love how it reflects your personality!